Let us guide you, take you by the hand, and share all aspects of the dance sports world, so you can discover where your heart sings with happiness. The waltz can be traced back to the 1770's. It originated from the dances of several different peoples in Europe but its main predecessors were the "Matenick" and a variation called the "Furiant" that were performed during rural festivals in the Czech Republic. The French dance, the "Walt", and the Austrian "Lindler" are the most similar to the waltz among its predecessors. The waltz became popular at the beginning of the 19th century in Vienna, from where it spread all over the world. The king of dances acquired different national traits in different countries. Thus there appeared the English Waltz, the Hungarian Waltz, and the Waltz-Mazurka. The waltz cannot be rivalled in its long-lasting popularity. During the 1920's the musical form of the waltz was further developed and new dances appeared: the Boston Waltz and the Slow Waltz. These dances were the forerunners of the modern waltz that is now performed in dance competitions. The "Flecker" is one of the moves of the Viennese waltz that is performed at dancing competitions. It is a very ancient move that originated from the primitive folk dances of Austria and Germany. For several centuries pairs have danced, spinning round on the same spot while holding each other very closely. At the end of the 18th and the beginning of the 19th centuries these dances shifted to towns and cities. Instead of being performed in country yards and taverns they were now danced in the great dancing halls of Vienna. Hopping and stamping was transformed into smooth gliding over spacious and polished floors. The tempo of the music was increased to 60-70 beats per minute (nowadays 60 beats per minute is usual). The music of the Viennese Waltz is elegant and full of passion. The dance is beautiful and it is a real pleasure to watch the dancing pairs. The creators of these fascinating melodies were Strauss, father and son, Legar, Waldteifel and other great composers including: Schubert, Chopin, Berlios, Tchaikovsky, Sibelius, Weber, Ravel. The Foxtrot appeared in Europe at the beginning of the 20th century and reached its peak of popularity in the 20's. The rapid growth in its popularity was due to the talented American dancers Vernon and Irene Castle. Over the years several variations of the Foxtrot have appeared, the most popular ones being the Slow Fox and the Quickstep. The Slow Foxtrot is characterized by long lines, uninterrupted and fluent progressive movements. It implies reserved strength and flight. The dance is complicated since it requires balance and constant control during every movement. To perform it graciously, the dancers, but most especially the lady, need constant training. The Slow Foxtrot requires considerable space and cannot be danced if the ballroom is crowded. The choreographic sources of the Tango are Argentine and Spanish folk dances. In the 19th century, the Tango became wide-spread in South America, and it first appeared in Europe at the beginning of the 20th century. The well-known French choreographer and composer Camil de Rinal revamped the dance making it more simple and thereby created the Tango as we know it today. It was not a popular dance around the world, however, since the Pope banned it as an obscene dance. After its initial success in Paris in 1909, the Tango impetuously spread all over Europe and enjoyed immense popularity in the period between 1910-1915. It went out of fashion in the 1930's-60's but is currently enjoying a revival. Boldness and resolution, sudden pauses and unexpected poses, and changes of directions. 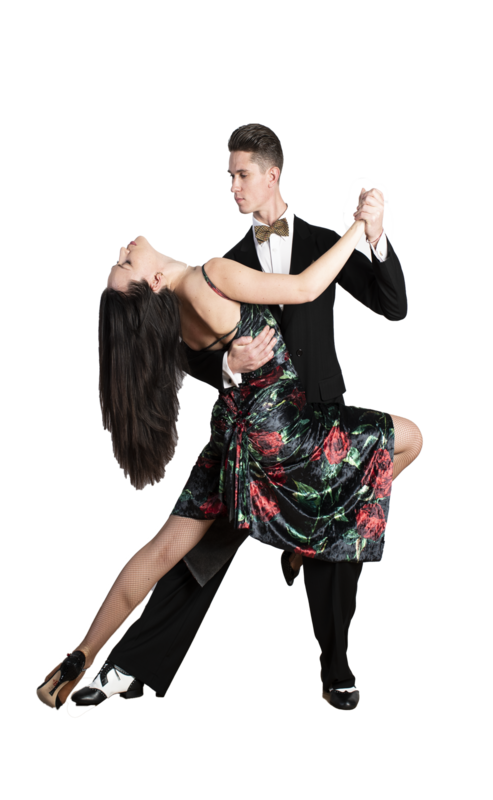 The Quickstep is a light, lively, cheerful dance, crammed with jumps, hops, right, left and back turns. Apparently there are several levels of interpretation: a sparkling dance for youthful dancers, a more refined nobility for middle-aged dancers, and a more reserved, choice choreography for older dancers. English in origin, it replaced the Foxtrot which was a quick dance popular in the 1930's. The lively rhythm of the Quickstep requires lightness and mobility from the dancers. Rich with variations, the Quickstep is considered The Pocket Grammar of standard dances. The Cha Cha Cha is a fairly recent dance that is a combination of the Rumba and the Mambo. It gained rapid popularity because of its simplicity. As a competition dance it appeared later than other Latin-American dances. Since its introduction it has been subjected to various modifications enabling dancers to perform it in several ways. It can be danced in pairs or at a distance. Samba is a progressive Latin dance that evolved from various different dances – mostly in Brazil. It is known for its “samba tick” or bounce action. The technique is difficult to learn, but essential for the look of the dance – the action requires compression of the knees and ankles and a forward-back movement of the hips, although the degree of bounce is different for different figures. The lively music – at 50 bars per minute, typically with strong percussion – helps create the carnival atmosphere where dancers use many different rhythms to create variety in their choreography. 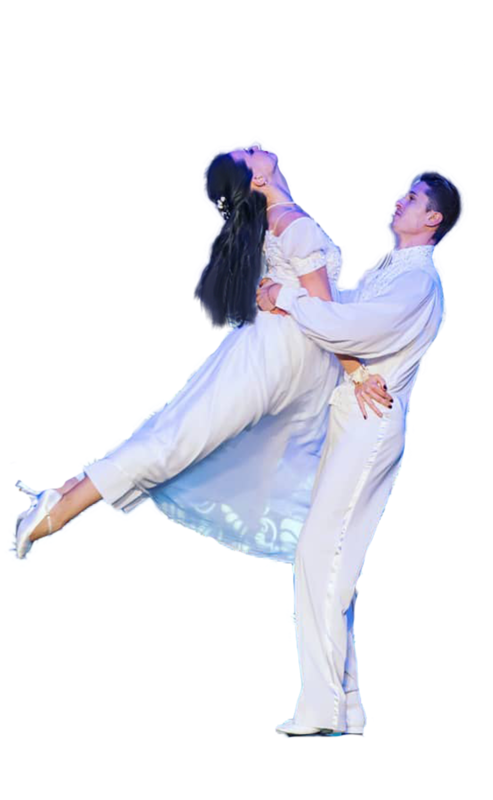 The Rumba requires a good sense of rhythm and also persistence to master the technical niceties which tend to be skipped by less skilled dancers. These niceties come as a result of good balance and coordinated movement of the ankles, knees and hips. Continual training will enable dancers to perform the Rumba in unison. Like most of its Latin brethren, the rumba emanated from Cuban origins, which fused together the African rhythms and Spanish influences of its inhabitants. But France was to play a pivotal role in bringing it to these shores. At the turn of the 20th century, Paris was the hub of European society. Its rich social tapestry and colonial influences meant that many new dances were generated in the French capital. This dance is a stylization of the main movements performed by a toreador in the bull-fighting arena. Every move has a name: veronica, cloak, ronda, cross turn. The character of the Paso Doble requires brisk but clear movements and slowness and lifelessness do not bring out the essence of the dance. It may be the last but it is by no means the least. One of the fastest and most energetic dances, the jive developed throughout the 20th century and has been influenced by numerous different styles, which are reflected in the choreography danced today. The earliest origins of the jive, like many other Latin American dances, were the native dances of the African-American slaves with triple and single steps. Their music contained strong drumbeats, which had hints of jive rhythms. The dance was considered obscene and consequently banned in ballrooms. As a competition dance it went through several stages and acquired different names such as the Lindy, West Coast Swing, American Swing and Rock and Roll. The most distinctive feature of the dance is that the man leads the lady in dancing the turning and spinning figures. Rock and Roll bares some resemblance to the Jive but it is less energetic. The dance does not require much space and can be danced in small, crowded rooms. Salsa is a popular form of social dance that originated in Cuba and Puerto Rico. The movements of Salsa are a combination of Afro-Cuban dance, Cuban Son, cha-cha-cha, mambo, and other dance forms. The dance, along with salsa music, originated in the mid-1970s in New York. Different regions of Latin America and the United States have distinct salsa styles of their own, such as Cuban, Puerto Rican, Cali Colombia, L.A., and New York styles. Salsa dance socials are commonly held in nightclubs, bars, ballrooms, restaurants, and outside, especially when part of an outdoor festival. In many styles of salsa dancing, as a dancer shifts their weight by stepping, the upper body remains level and nearly unaffected by the weight changes. Weight shifts cause the hips to move. Arm and shoulder movements are also incorporated. The basic Salsa dance rhythm consists of taking three steps for every four beats of music. The odd number of steps creates the syncopation inherent to Salsa dancing and ensures that it takes 8 beats of music to loop back to a new sequence of steps. dance, and as a performance art. As a social dance, belly dance (also called Raqs Baladi or Raqs Shaabi in this context) is performed at celebrations and social gatherings by ordinary, in their ordinary clothes. In more conservative or traditional societies, these events may be gender segregated, with separate parties where men and women dance separately. Ladies solo is a wonderful combination of all dance styles known to you. A great option to keep yourself in good shape and increase your grace and lightness. A professional instructor can help you to find a program that will suit you the best. Latin American dances with a bit of stretching do truly amazing things with the human body, plus a charge of vivacity and good mood for the whole day! Argentinian tango is a musical genre and accompanying social dance originating at the end of the 19th century in the suburbs of Buenos Aires and Montevideo. It typically has a 2/4 or 4/4 rhythmic time signature. Its lyrics are marked by nostalgia, sadness, and laments for lost love. Argentinian tango dancing consists of a variety of styles that developed in different regions and eras, and in response to the crowding of the venue and even the fashions in clothing. Even though the present forms developed in Argentina and Uruguay, they were also exposed to influences re-imported from Europe and North America. There are records of 18th and early 19th-century tango styles in Cuba and Spain, while there is a flamenco Tangos dance that may share a common ancestor in a minuet-style European dance. Consequently, there is a good deal of confusion and overlap between the styles as they are now danced and fusions continue to evolve.